The Rural Cultural Forum recognises that if rural communities are to achieve cultural equity and make a full contribution to the economic and cultural life of the nation we have to keep abreast of the research and thinking informing current policy-making on rural affairs and the Creative Industries. Under ideal circumstances the RCF would wish to engage a strong research team. This is in part because, although the economic impact of the Creative Industries on the urban sphere, the benefits of most of the arts and cultural activity in rural areas have not yet been formally evaluated. Also, as far as we can ascertain, no grass roots community and practitioner-led cultural strategy initiative has previously been proposed or implemented, and certainly no attempt has been made to establish such a strategy with the ultimate aim of promoting environmental sustainability. Whether successful or not this is a new and interesting approach, and one which should impact on policy-makers associated with rural development, agricultural reform and environmental sustainability. One of the aims of the RCF Rural Cultural Strategy is to develop the model for a culturally inclusive policy agreement, which can be adapted for their own situation by other groups marginalised for whatever reason, whether by geographical, economic, or other culturally perceived disadvantage. This aspect of the RCF strategy too needs research and objective assessment. 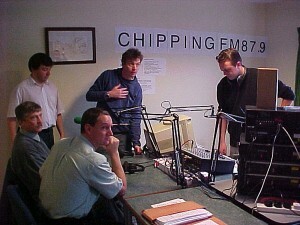 Chipping FM Community Radio pilot, Lancashire 2001. Vet David Black discussing the situation immediately post FMD. The RCF is therefore seeking to support other communities or cultural groups that feel themselves to be marginalised or in some way disadvantaged. In particular we would like to promote the cultural aspirations of rural elders, young people and children in rural areas, rural women, incomers, rural people with disabilities, migrant rural workers, BME urban communities in the rural context, and Roma, Gypsy and Traveller communities. The importance of cultural work with the fishing port and hill farming communities has been highlighted elsewhere on this site. An essential part of any NGO campaign or independent cultural strategy is intelligence-gathering and keeping a ‘heads-up’ approach with regard to initiatives such for example as the current research on rural issues led by the Joseph Rowntree Foundation, rural sociology associations, Carnegie UK Trust, Rural Services Network, ACRE, The Commission for Rural Communities, The Rural Health Forum, DEFRA, and the Plunkett Foundation, among others. Also vital is keeping abreast with policy initiatives and research regarding rural development and agricultural reform (DEFRA/RDPE), community sustainability (DCLG/CRC), environmental sustainability (DEFRA/DECC), the Creative Economy and culture-led regeneration (DCMS, BERR), and providing wider rural access to the arts/Arts for All (Arts Council England, National Arts Strategy). Research is also needed to identify areas for arts project development by the RCF, and possible future exhibitions, conferences, publications and events. Priorities for a strategic rural cultural programme are: arts projects in the context of rural health initiatives, a rural youth arts and cultural investment programme, digital media and the rural economy, and a new rural crafts and sustainability initiative. A second strand of arts research would address the RCF’s developing partnerships and collaborations with professional artists, curators and the urban art world in general. These research topics are dealt with in more detail in the section ‘New Rural Arts’. A key research role for the RCF is establishment and maintenance of a comprehensive research and information network. This could be achieved via an on-line news digest and through publication of a Rural Cultures bulletin at monthly intervals. There are numerous other arts, academic and cultural sector electronic news boards that would take such information,such as INTUTE, ACE, Saatchi, Art Education, ACORN/IACCA, About Arts, Critical Network.